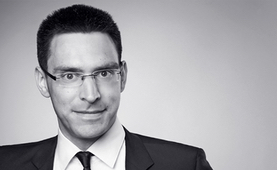 Back in 2013, I was given the opportunity to invite 14 speakers from Canada, the US, and all over Europe to Hamburg University to contribute to the international conference Games, Cognition, and Emotion – a 2-day symposium for theorizing video games from the perspective of cognitive media studies. Now, almost 3 years later, the follow-up anthology Video Games and the Mind. Essays on Cognition, Affect and Emotion has been published. The 224-page volume, edited by Canadian media studies scholar Bernard Perron and myself, assembles contributions by more than a dozen experts in film and game studies to address questions like: Can a video game make us cry? Why do we relate to game characters and how do we engage with the storyworlds they inhabit? How is our body engaged in play? And how are our actions guided by sociocultural norms and experiences? While the interdisciplinary field of game studies has proposed answers to these questions on many different theoretical premises, our anthology chooses psychological theories of cognition, affect, and emotion as its reference points and thus tries to offer innovative perspectives on how players think and feel about video games and how game design and analysis builds on these processes. While all essays argue against a strict separation of cognitive, affective, and emotional aspects of experiencing video games, most have a strong emphasis on one of the three – which explains the book’s subheadings: Cognition, Affect, Emotion. 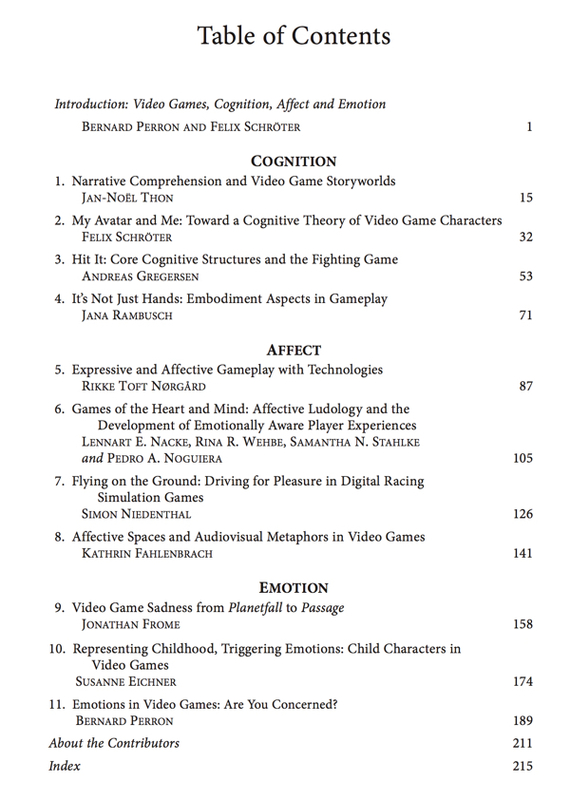 While the first section includes essays such as Jan-Noël Thon‘s “Narrative Comprehension and Video Game Storyworlds” or Andreas Gregersen‘s examination of core cognitive structures in the fighting game genre, the second section features, for instance, Rikke Toft Nørgård‘s phenomenological inquiry of affective gameplay, Simon Niedenthal‘s analysis of pleasure in digital racing games, or Kathrin Fahlenbrach‘s essay “Affective Spaces and Audiovisual Metaphors in Video Games”. The book concludes with three essay dealing with emotions: Jonathan Frome presents a brilliant discussion of why video games often fail to make us cry, Susanne Eichner conducts case studies on emotional engagement with child characters in video games, and Bernard Perron provides a comprehensive update to his earlier writing on game emotions by applying the notion of concern to video game analysis. The volume can be purchased for $ 39,95 over at McFarland and will also be available as an ebook.